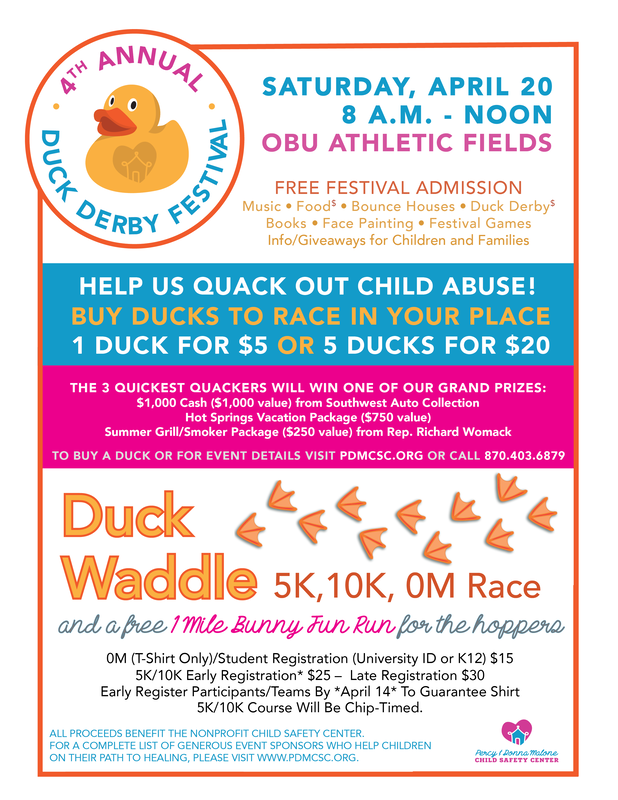 The Percy and Donna Malone Child Safety Center invites walkers and runners of all ages, beginner level and experienced alike, to participate in a charity 5K/10K timed race and 0M finish line waddle to support children on their journey to healing after abuse and trauma. Run our 5K or certified 10K race routes through charming downtown Arkadelphia, Arkansas to cross the finish line amid the fanfare of music and festivities. A separate course is reserved for families and teams wanting to participate in the Bunny Fun Run. Because we know today's children will be leading us forward, let's "Quack Out Child Abuse" in support of their healthy future! 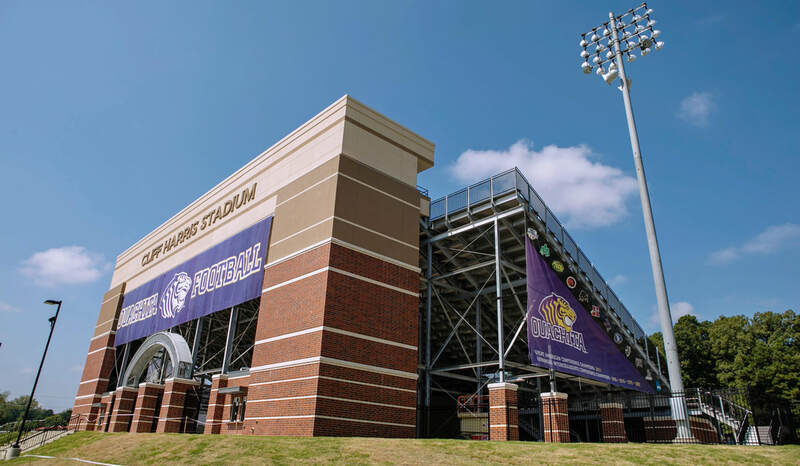 LATE REGISTRATION/PACKET PICK-UP: Saturday, April 20 beginning at 7:30 a.m. participants can pick up race packets or complete late registration at the OBU Cliff Harris Stadium, 990 Carter Road, in Arkadelphia. Parking and restrooms are available at the facility.